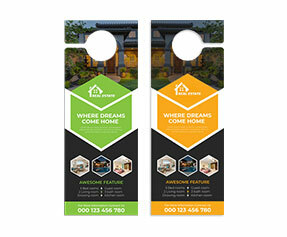 Imagine your prospective client reaches home and before he finally turns the door handle, he finds a professionally printed, bright colored, eye catching door knob hanger there! Do you think he would ever ignore this smart yet high potential piece of advertisement? The answer is no! 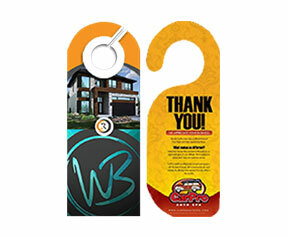 A door hanger is something that cannot possibly be ignored especially when it’s hanging outside somebody’s home. 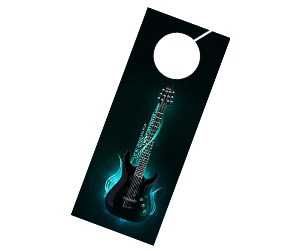 Placing these nasty tools strategically on the doors of potential customers lets you trap them and get your company’s message through in a professional and polite manner. In fact it’s a professional advertiser’s dream to make sure that his message is read by each of the addressees. 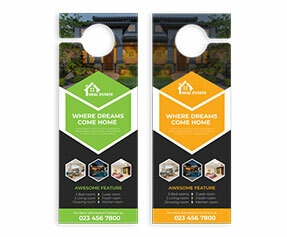 Unlike conventional advertising products such as brochures, flyers, stickers, banners etc, door hangers are too hard to stay unnoticed. These products are full of untapped marketing potential and most of all they are inexpensive way to broadcast your words among masses. 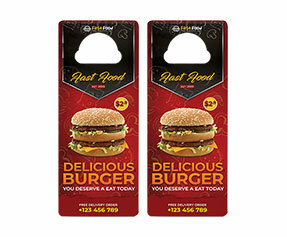 Full color printed door hangers can come out as the best output oriented tools so if you are willing to utilize them as your next advertising medium then we are here to provide you with the world class printing services. 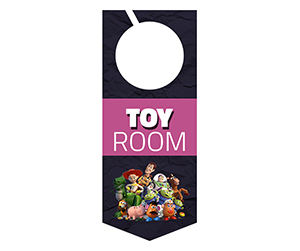 Place your 5 x 8 door hangers printing order today with Printingblue and get the best printing quotes with 100% guarantee of quality.